SEITZ India, the Indian counterpart of the German pioneers in the field of manufacturing professional Laundry and Textile Care products- SEITZ GmbH, unveiled a first of its kind odour removing spray for the Indian consumers. 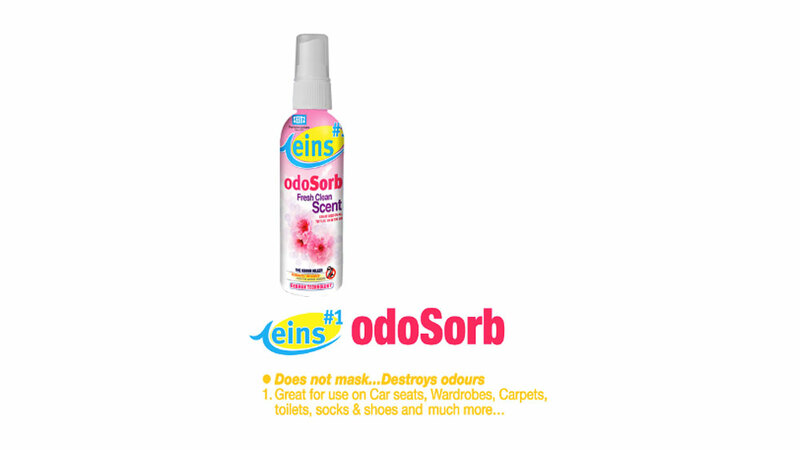 Named as Eins Odosorb, the product is a groundbreaking innovation for the company that boasts of proficiently removing any odour leaving the source smelling fresh and new. It is a revolutionary product that attacks the source of the toughest odours and within no time has the capability to make the air smell fresh. Eins Odorsorb does not have a strong fragrance of its own, but is highly efficient in eliminating the bad smell from the source. For best results, the product must be simply sprayed on the source of the odour like toilet, car seat covers, carpets, wardrobe, shoes, socks and almost anywhere and everywhere. The product claims to remove odour from various surfaces or materials in fraction of minutes with utmost efficacy. Eins Odosorb is not a room freshener, so spraying in the air would not be effective. Due to its efficacy on smoke smells, it is to be used extensively in cars, hotel rooms and even after small fires in enclosed spaces. The product gives extraordinary result on stinking socks and save you from any kind of public embarrassment. Eins Odosorb is available online or at leading retail outlets at a price range between Rs 90 to Rs 275. SEITZ India had recently launched Eins, the first retail arm of the global giant, in an attempt to bring in the best German cleaning technology directly to the consumers. Eins features a range of cleaning products for Indian households which are preferred for use by the World’s finest professionals like 5 Star hotels, dry cleaners and institutional buyers like Frankfurt Airport. The array of offerings includes detergent powder, fabric softener, stain removal spray, odour killer, floor cleaner, glass cleaner, toilet cleaner and much more. The products are based on SEITZ strict quality standards and are manufactured in world class facilities in India.